My interest in the Newalls of Scotland is relatively recent. My early research on the origins of the Newells of Newfoundland focused on Newells, Noels, Nowells and Newalls of SW England, and the Channel Islands, the areas where most early Newfoundland settlers originated from. I ignored Scotland since I was unaware of any early Scottish links to SE Newfoundland. 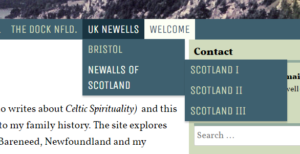 My interest in Scotland started with my research on Richard Newall’s voyage to Newfoundland in 1623 (see my research under Richard Newall Tab on this Web Site). This voyage was sponsored by Sir William Alexander (later Earl of Stirling), a Scottish courtier and favourite of James I of England. His first step, therefore, was to enlist the co-operation of his friend, Sir Robert Gordon of Lochinvar, from whose estates in the Stewarty of Kirkcudbright, it was expected a large number of emigrants might be obtained. To secure Sir Robert’s interest Alexander surrendered the part of his barony, comprising Cape Breton, for which a Crown grant was then given to Sir Robert Gordon and to his second son, Robert, conjointly, with the name “New Galloway.” (Colonel Alexander Fraser, 1922, Nova Scotia, The Royal Charter of 1621). In 1622 Sir William Alexander dispatched a ship from London to Kirkcudbright, Scotland to embark the Scottish colonist. Unfortunately, the venture was plagued by poor planning and logistical problems so the vessel did not depart Kirkcudbright until June, 1622 (late for a voyage to the New World). The party was detained at the Isle of Man until the month of August, and the promised land was not sighted until about the middle of September, when a storm prevented a landing and the vessel was driven back to Newfoundland, where the passengers wintered. The ship had been meagerly fitted out; money was scarce, and provisions short, so it was necessary to send the vessel back to England for fresh supplies (Fraser, 1922). The following year (1623) Sir William chartered a new ship to return to Newfoundland to pick up the colonist and take them to New Scotland (Nova Scotia). This was the voyage covered in Richard Newall’s diary for 1623 and my paper on his diary. In researching the link between Richard Newall and this voyage, I found that Kirkcudbright Scotland also has links to the Newall name. Newall and Newell are not considered native (pre 1066) Scottish names; however, there is a modern day cluster of people with these names in the SW of Scotland reaching a peak frequency (Newall) in Kirkcudbrightshire near Dumfries (see Map and Table in: http://forebears.io/surnames/newall ). 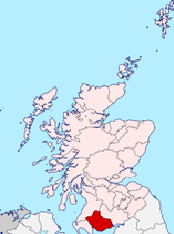 Map 1: Location of Kirkcudbrightshire, Scotland. The cluster of Newalls in SW Scotland likely represents a spillover from the peak UK cluster in the north of England. These Scottish Newalls may be descendants of people from the north of England that moved into Scotland during the numerous English incursions into Scotland prior to 1600. Richard Newall’s diary does not contain any evidence that he had family connections to Scotland; however, this link was sufficient to start my research on the Newalls of Scotland. One other recent development reinforced my interest in Scotland. While researching John Newall merchant of Bristol who was operating in Harbour Grace, Nfld. in the late 18th and early 19th centuries (see Bristol under UK Newells Tab); I became aware of the role that Scottish merchants played in Harbour Grace at that time. The first file covers the period up to 1603; the year King Janes VI of Scotland was crowned James I of England. I am still planning on extending this material into the 18th century but I am currently working on other projects.